What would you give to learn team leadership from one of the most prolific companies in the world (Google)? The tech giant completed a massive two-year study on team performance and revealed THE defining characteristic of successful teams. He refers to this characteristic as “psychological safety,” the belief that you won’t be punished for your mistakes. At first glance, this may appear to be counterintuitive. After all, the fear of consequence drives efficient and effective behavior, right? Well, according to their research, that’s INCORRECT. Google’s research shows that employees who feel psychologically safe in their work environments are more likely to take risks, be more creative, and speak out if they feel like a project is headed in the wrong direction. In a world driven by innovation and courage, a team that does not feel psychologically safe is a team that will underperform. Approach conflict as a collaborator, not an adversary. Anticipate reactions and plan countermoves. Ask for feedback on delivery. Asking your colleagues or teammates, “Do you feel psychologically safe at work?” may be more than a little uncomfortable for you and for them. So, how can you “Measure psychological safety,” as Santagata recommends? The Flippen Profile uses input from your team members to measure how you’re doing on the 13 leadership behaviors that correlate to creating psychological safety for those around you. Your skill level for recommendation #1 (Approach conflict as a collaborator, not an adversary) can be measured with the profile’s Aggressiveness and Deference scales. Someone with high Aggressiveness (7 or above) can create inter-team turmoil through argumentative behavior and the escalation of conflicts into major crises. A teammate scoring low on the Deference scale (3 or lower) is likely to be stubborn and immune (or even hostile!) to critical feedback. Santagata’s fourth recommendation (Replace blame with curiosity) and fifth recommendation (Ask for feedback on delivery) can be measured using the Criticality and Self-Critical scales. An individual with a high score on the Criticality scale (7 or above) will be too quick to find fault and use disapproving body language. Someone with a low Self-Critical score (2 or lower) will be too quick to shift blame to others and can intimidate teammates, shutting down helpful feedback. So, what are you doing to measure and grow psychological safety on your teams? 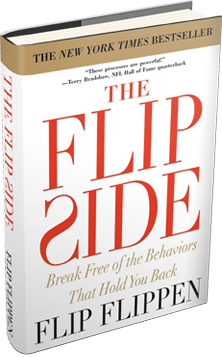 With the Flippen Profile, we can help you and your team build an actionable plan to create psychological safety and outperform your business goals.